With seating for up to nine passengers, an optional 420-hp V8 engine, and a max towing capacity of 8,600 pounds, the new Chevy Tahoe is ready for just about anything. And if you’re looking for Chevy Tahoe lease deals near Valrico, then you’re in luck! Make the trip to Stingray Chevrolet in Plant City today to check out all our new Chevy Tahoe lease options, including trim levels with Chevy MyLink, heated front and rear seats, leather upholstery, and rear entertainment systems. And if you’re looking to get rid of your current model, simply value your trade with us! Get Inside the New Chevy Tahoe Near Lakeland at Stingray Chevrolet! 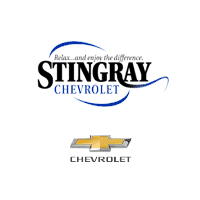 Get a great deal on your next 3-row SUV with a Chevy Tahoe lease from Stingray Chevrolet in Plant City! Stop by today to take a test drive, or buy your car online with Joydrive! And if you’re looking for other great deals, make sure to check out our current offers and incentives as well. We’re located just a short drive from Brandon, and you can contact our staff at (813) 359-5000 with any questions you might have.